Sundance Helicopters, the longest running helicopter tour operator in Las Vegas, has been tapped as the exclusive partner with UberCHOPPER powered by BLADE, to fly to Coachella Valley Music and Arts Festival. Coachella attendees will fly in the comfort and elegance of Sundance Helicopter’s state-of-the-art Airbus H130 helicopters on April 15th – April 17th and April 22nd – April 24th. 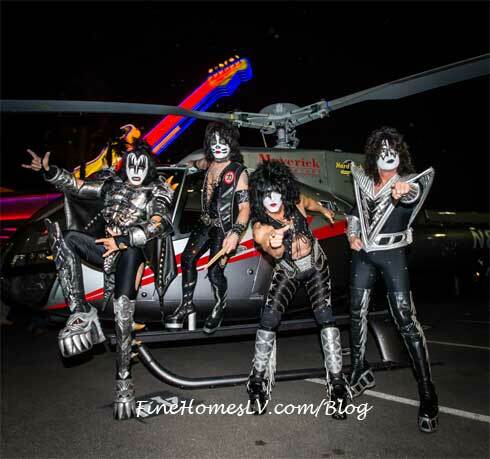 Legendary KISS rock band arrived with an over-the-top Maverick Helicopters rockstar entrance outside of Hard Rock Las Vegas to launch their KISS Rocks Vegas nine-show residency at The Joint on Wednesday, November 5, 2014. The 2013 Electric Daisy Carnival (EDC) weekend attendees this year can arrive to the massive electronic dance music event in VIP-style with Maverick Helicopters, June 21-23, 2013.